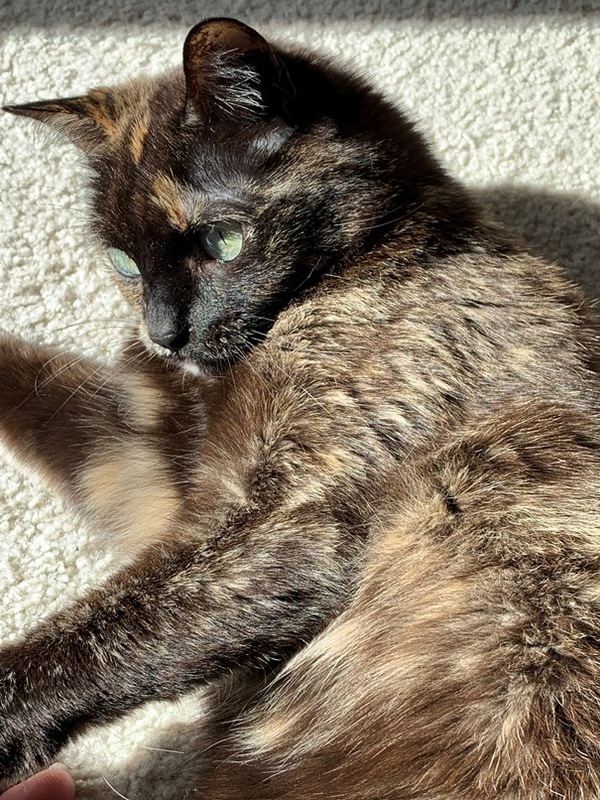 This entry was posted on March 29, 2019 at 6:44 pm	and is filed under Cats, Friday Photo, Teagan and Nessa. Tagged: bright sunshine, Friday Photo, Nessa, pictures of cats. You can follow any responses to this entry through the RSS 2.0 feed. You can leave a response, or trackback from your own site. Such a mysterious look. Beautiful. She was wanting to play AND she was so excited about the sun. Such a mysterious look. Beautiful. I love all those shades of brown.